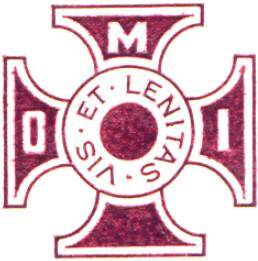 NOTE: Files posted here DO NOT necessarily represent the views or opinions of the Webmaster. 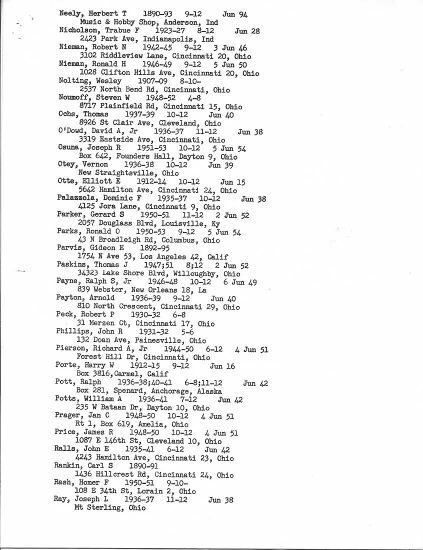 To have a file posted here, send it to the webmaster (Al Hill) -- as an example, the file can be an email itself and-or its email attachment, or a wordpad document, etc. 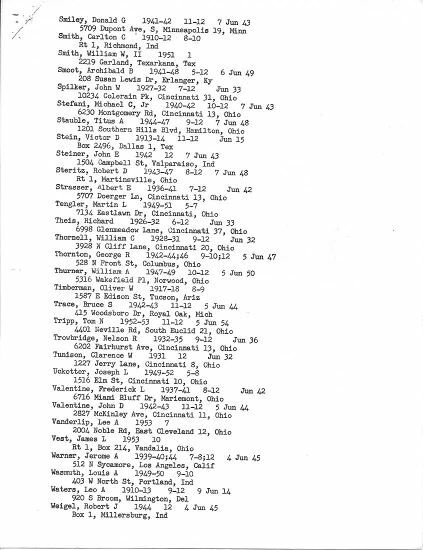 Basically, almost any file received can be posted.
" 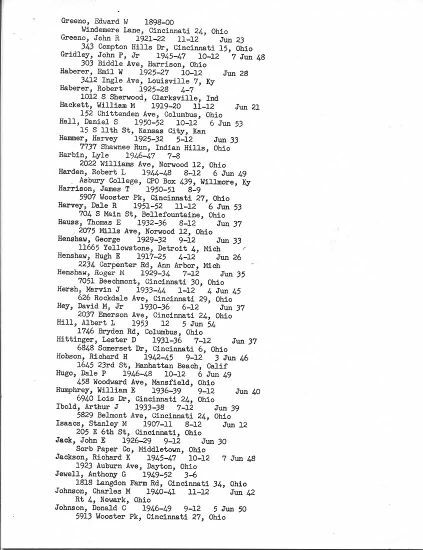 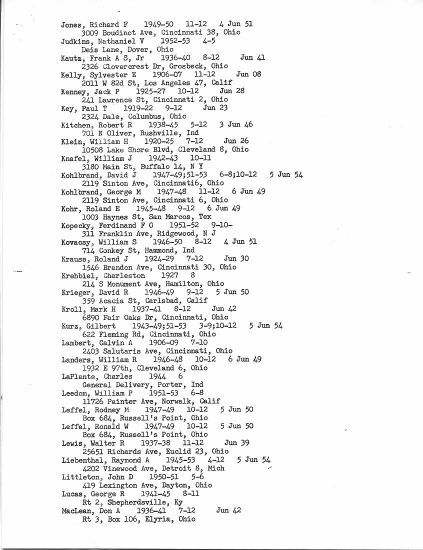 Click On A File Name To Open And View Its Contents "
The following list of some 285 Old Boys was furnished by Kathy Ochs, daughter of the late Thomas Ochs, who graduated from OMI in 1940. 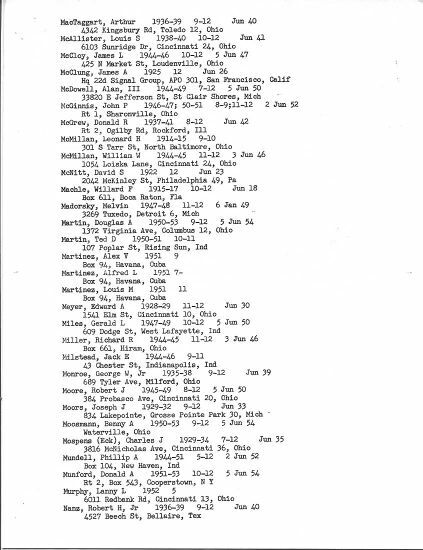 The list was compiled in January 1955 by her dad and shows names thru the 1954 graduating year. 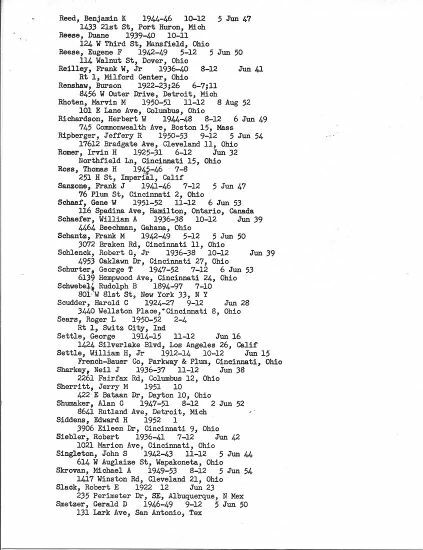 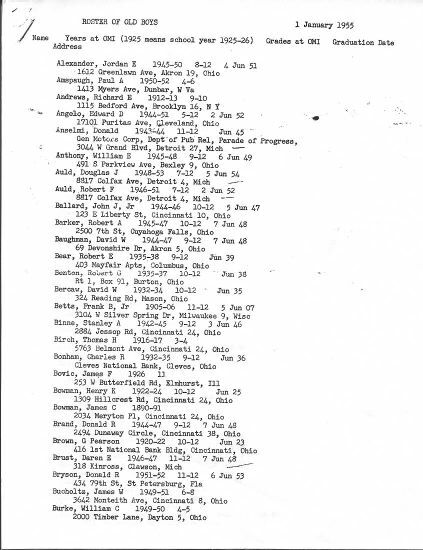 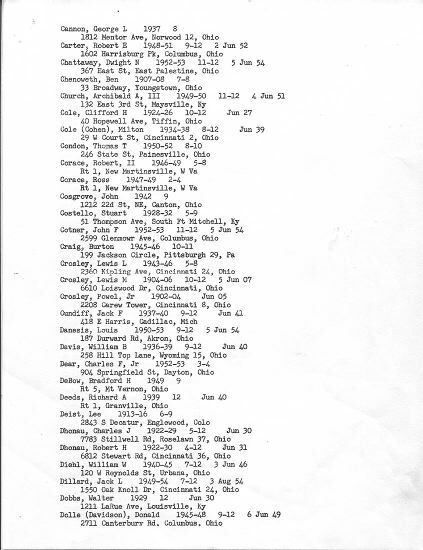 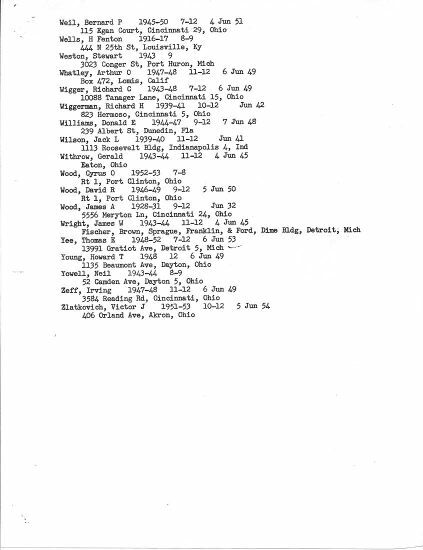 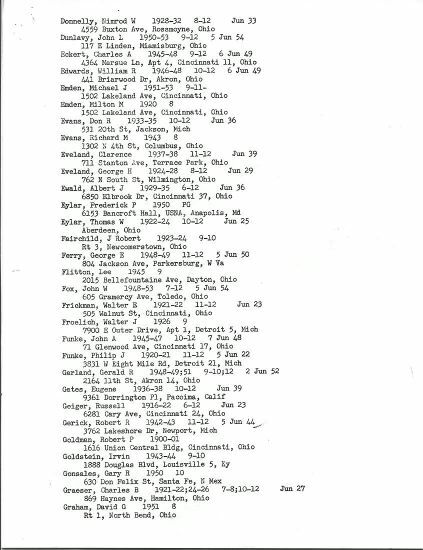 Although the address information is as of back then, and also dosen't include the final years of 1955 thru 1958, the list has great value in just knowing who they were, as there really hasn't and still isn't any place to be found that has a complete record of every cadet that ever attended OMI.